"In contemporary western society, some degree of discontent with one's body is widely regarded as normal and acceptable but the pre-occupation with the need for a perfect appearance carries with it inherent risks"
The book also covers how these problems are diagnosed and treated as well as what family and friends can do to assist in the recovery process. In an unsensational way 'Living with Your Looks', also gives straightforward information about the controversial area of cosmetic surgery. In the chapter 'Changing our looks', the authors cover all the plastic surgery options now available and give examples of the risks as well as the perceived benefits in these procedures. The authors also counter preconceived notions that these issues are limited to women. As the book demonstrates, in 'Men's Body Image' muscle dysmorphia (the belief that one is too small or puny) is as prevalent among men as bulimia and anorexia are amongst women. Professor David Castle is a psychiatrist with research and clinical experience in the area of 'body image disturbance in cosmetic surgery'. Co author of Disorders of Body Image, (Writghtson Biomedical Petersfield, UK 2002), he has presented papers at local, national and international meetings, including the World Federation for Mental Health Biennial Conference, the American Psychiatric Association and the International Conference of Plastic, Reconstructive and Aesthetic Surgery. David is currently doing research with plastic surgeons, working with patients suffering body image disorders. David Castle is based in Melbourne. 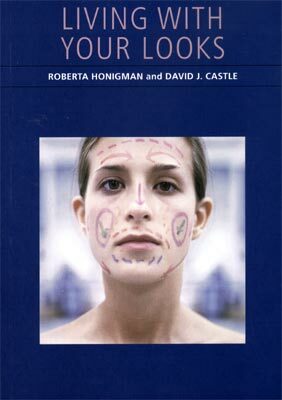 Roberta Honigman is a social worker with clinical and research experience in the area of body image and has worked closely with plastic and cosmetic surgeons and dermatologists, counselling patients before and after plastic, cosmetic and reconstructive surgery and other procedures. Roberta is also currently attached to the Laser Dermatology Clinic at the Royal Children's Hospital in Melbourne.